Another hit this year from Jay@Play is Wish Me! Wish Me is the puppy with the light up bow. Make a wish with your Wish Me puppy. Kiss your Wish Me puppies nose the bow glows. Make a wish while the bow is glowing and then blow a magic kiss at the bow and the light goes out. 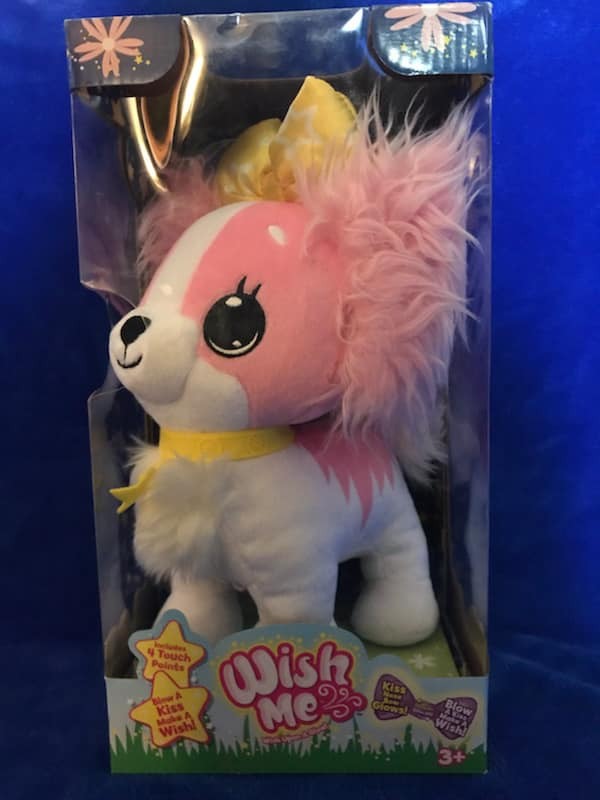 Each Wish Me has its own specific function from lighting up to giggling and barking. Choose the Wish Me that best matches your personality! 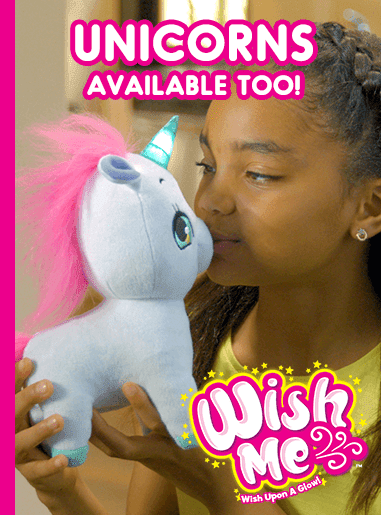 Get your Wish Me online for only $19.99 choose from unicorns or puppies! Sierra enjoyed the smaller Wish Me more than she did the big one. 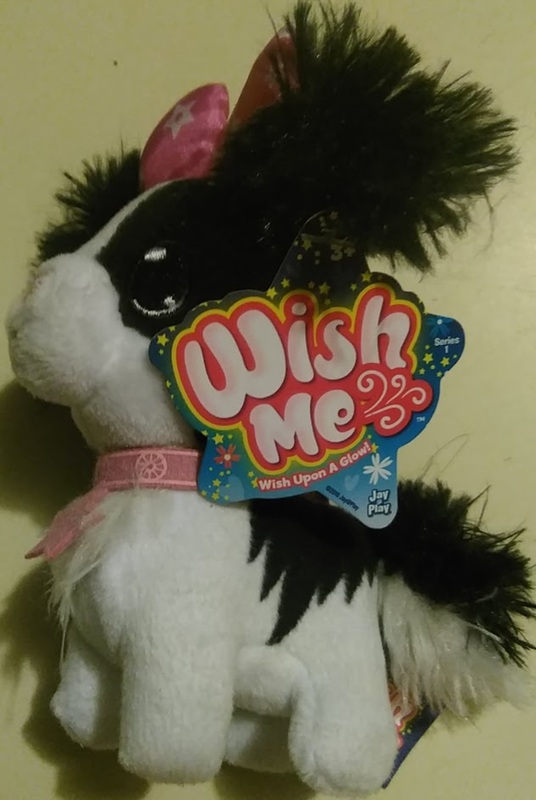 She packed the tiny Wish Me puppy everywhere which is great because she got the pink Wish Me and she gets everything she gets a hold of dirty super fast. That pink would not have lasted long with Sierra. Josie, Sierra's cousin however loved the larger Wish Me and sleeps with it presently. Sierra did not know until we took this picture that the smaller one lit up. Mommy didn't either oops. Make sure you read the label it tells you how to make the smaller light up. Sierra loved that her smaller Wish Me lit up to with the push of a button. The larger Wish Me works more or less the same you just don't push a button like on the smaller you kiss their nose and their bow glows. Then you blow a kiss and make a wish. The larger Wish Me is just a lot bigger than the smaller Wish Me. 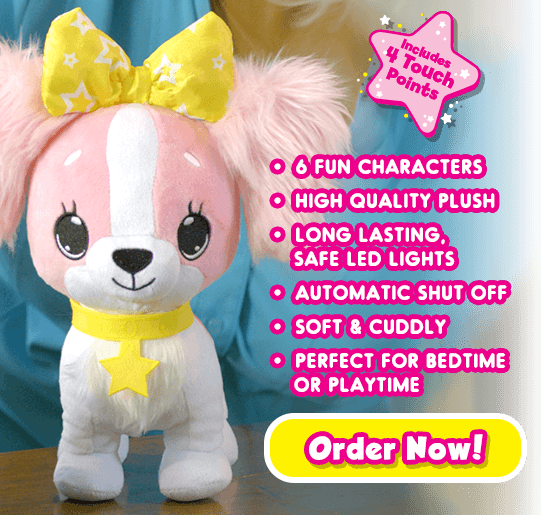 Check out Boxy Girls from Jay@Play the perfect gift idea and FlipaZoo/Flipquins here from Jay@Play as well!